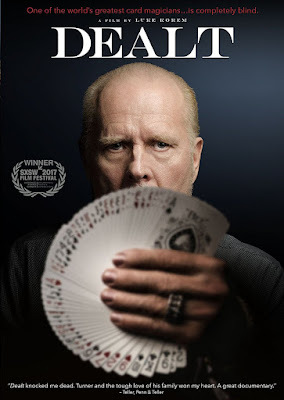 At first glance, Dealt seems to be the type of documentary that card magician Richard Turner would resent, in that it spends much of the run-time focusing on the fact that he is blind. While this makes his incredible feats with a deck of cards that much more impressive, Turner has spent much of his career attempting to hide the fact that he is visually impaired, believing that his accomplishments should be impressive enough on their own. 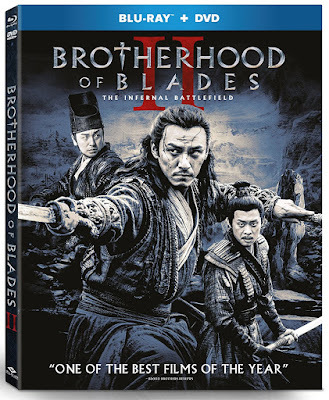 While the focus of the documentary seems to contradict the beliefs of its subject, this changes as Turner has an arc of development over the course of the film, learning to embrace his handicap in the later years of his life. Like its title, Take Every Wave: The Life of Laird Hamilton is overlong and makes it painfully clear who the subject of the documentary is. Even with a number of scenes that have impressive staged and archived footage of big-wave surfing, this film consistently remains a portrait of the legendary surfer. I have to assume that he is a legend, anyway. 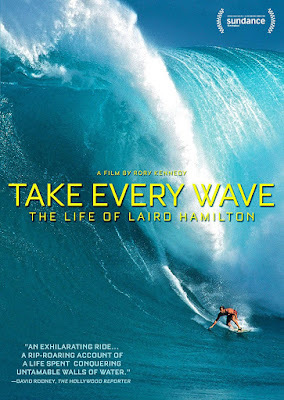 As someone with little knowledge about trailblazing surfers, I mostly just have this film as reference, and it rarely feels like a balanced portrait of Hamilton, even when showing some of his major character flaws.